When my feet hit the ground, it was as though I had a taste of hell. 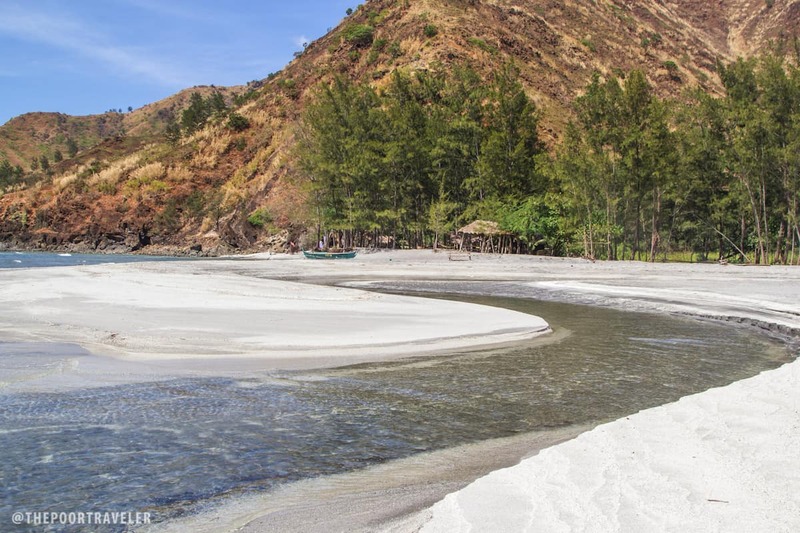 The volcanic ash that filled the coast of Nagsasa baked in the unforgiving sun, and the heat was unbearable. As soon as I hopped out of the boat, I dashed into a hut, trying my silly best not to touch the ground, as though it was possible. 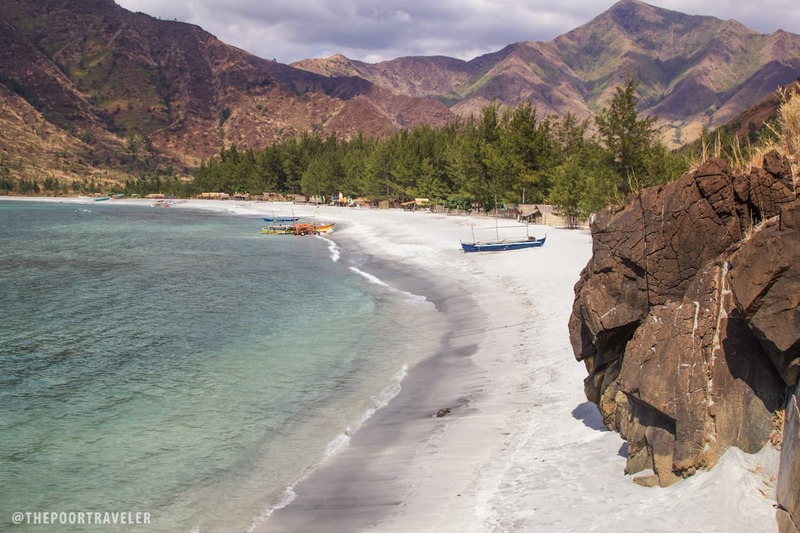 Nagsasa Cove bears many similarities to its more famous stepsister Anawangin. Anawangin’s popularity, however, is also her weakness. 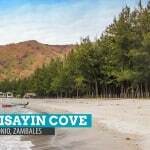 Anawangin can get too overcrowded especially during peak season. 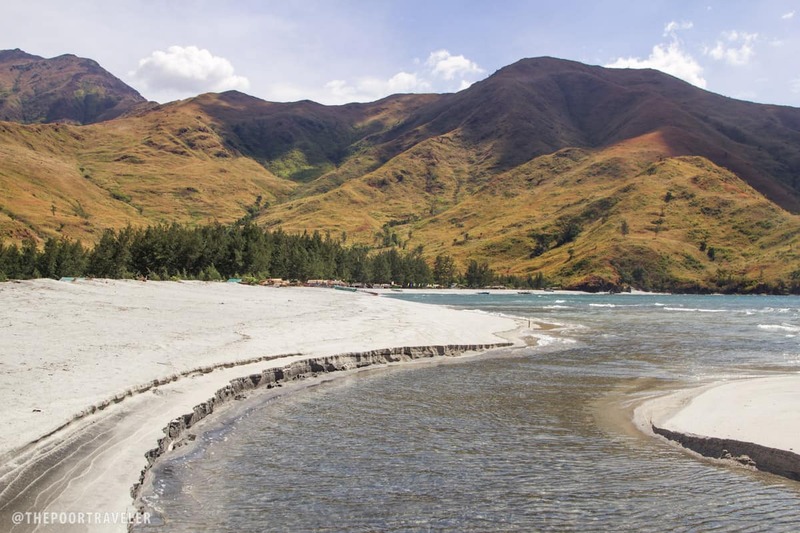 Nagsasa, although beginning to draw in more and more tourists each year, offers more moving and breathing space. 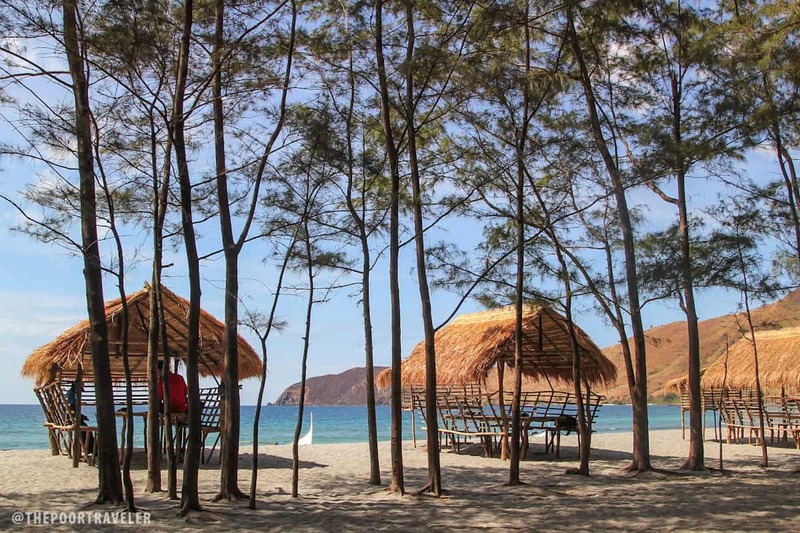 It has all the good things Anawangin is famous for but retaining the more laidback atmosphere that has started to slip away from the other. 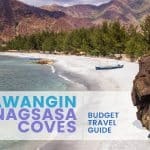 Like neighboring Anawangin and Talisayin, Nagsasa Cove was a typical rocky coast fronted landward by a rich rainforest that was home to small groups of Aetas. Until the first grain of ash fell. The smell of grilled pork belly filled the air, taunting my grumblings tummy. I had to get away for a moment and come back when lunch was ready. Under the high noon sun and despite the ground temperature, I walked to the northern end of the cove. 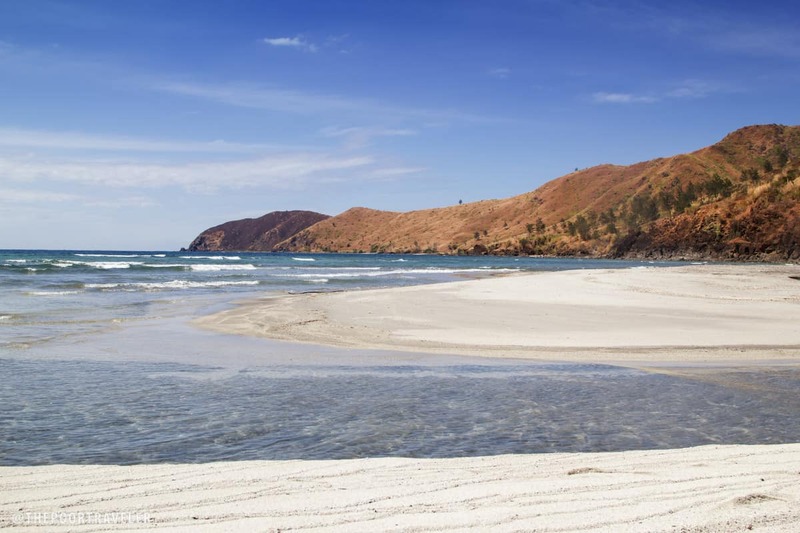 Volcanic ash seems to absorb more heat than regular sand; it was almost impossible to walk on dry land barefoot. I dipped my feet in the shallow water and waded through. The cold splashes were such a relief! The small estuary that meandered out to the sea was my signal to climb back to the berm. Following it inland, I was led to a shallow, quiet creek that formed a horse-shoe shape. My bet is that this is where many choose to pitch tents for an overnight stay. It just looked like the most ideal spot for camping. 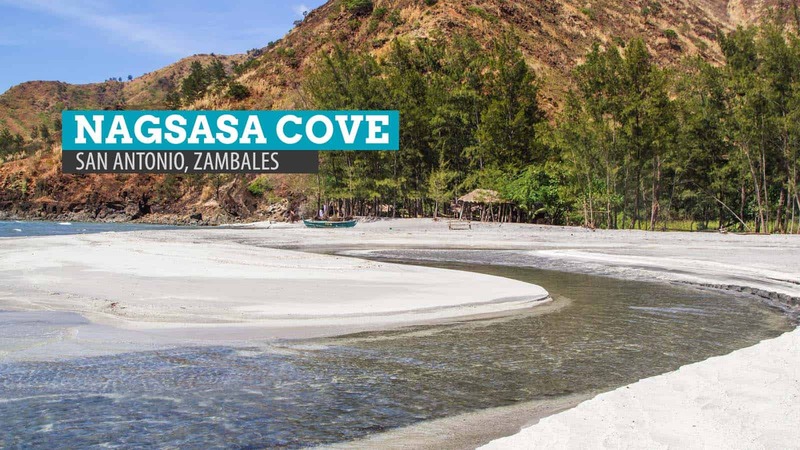 How to get to Nagsasa Cove: From Manila, ride a Victory Liner bus to Iba, Zambales, and tell the driver to drop you off in front of San Antonio Public Market (P250, 3-4 hours). Take a tricycle to Pundaquit (P60 per 2 pax, or P30 per pax). 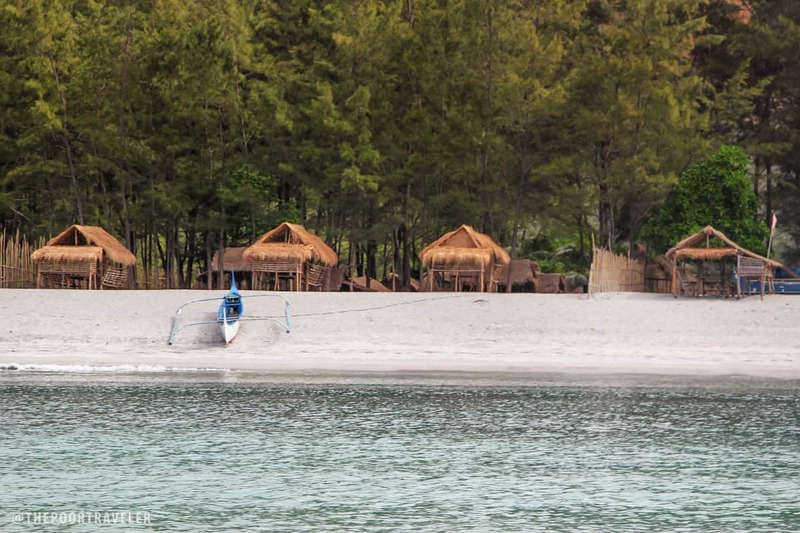 In Pundaquit, rent a boat to Nagsasa Cove. Boat rental costs P1500-P2000, good for up to 4pax. 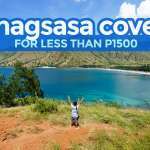 im proud that i was born and grew up in this area, my so called natures haven, nagsasa cove..with this im inviting everyone to come and visit nagsasa cove. 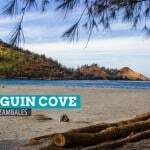 for any inquiries i am very happy to help you..i am owner of boats going to islands and cove of zambales.. offering cheap and hustle free packages. globe number po meron ba kayo? Is the boat price jut one way or return?